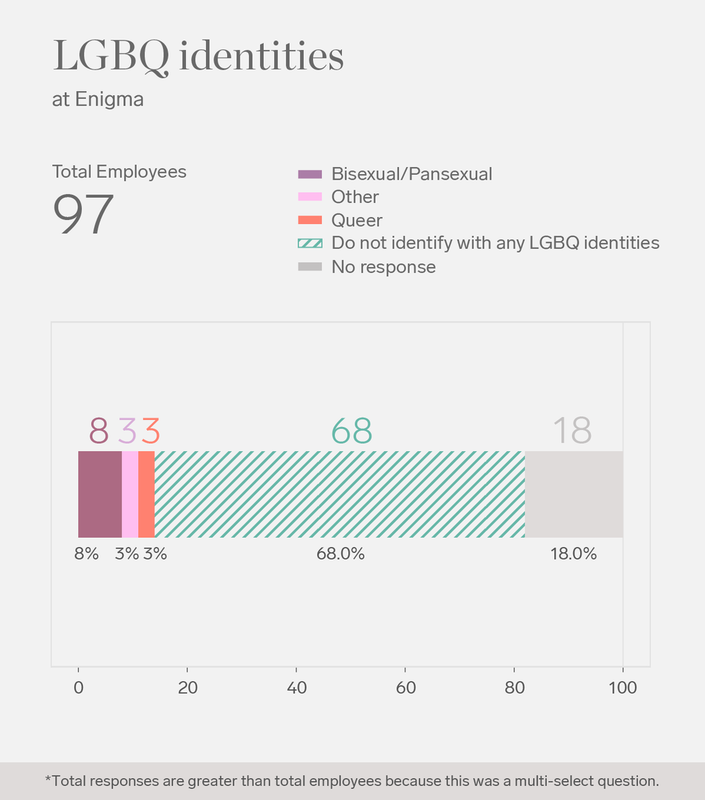 These data charts are the results of an internal D&I survey and publishing a public report on our diversity data. 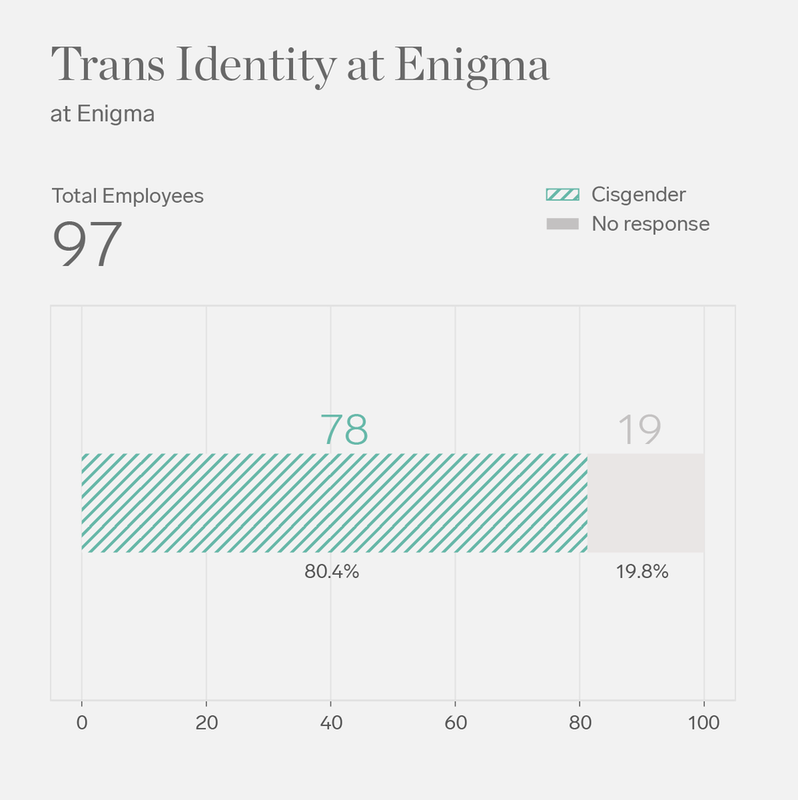 Our June 2018 Diversity & Inclusion survey was sent to 97 full-time employees, of which 78.4% responded. While women actually make up a lower percentage of CS grads in recent years than seen in 1991/1992, the sheer volume of women has increased significantly. By trying a couple principles below, I focused on making charts easy to scan and understand at a glance for viewers. Highlighting what each chart want to tell by applying the contrast between solid color vs texture. 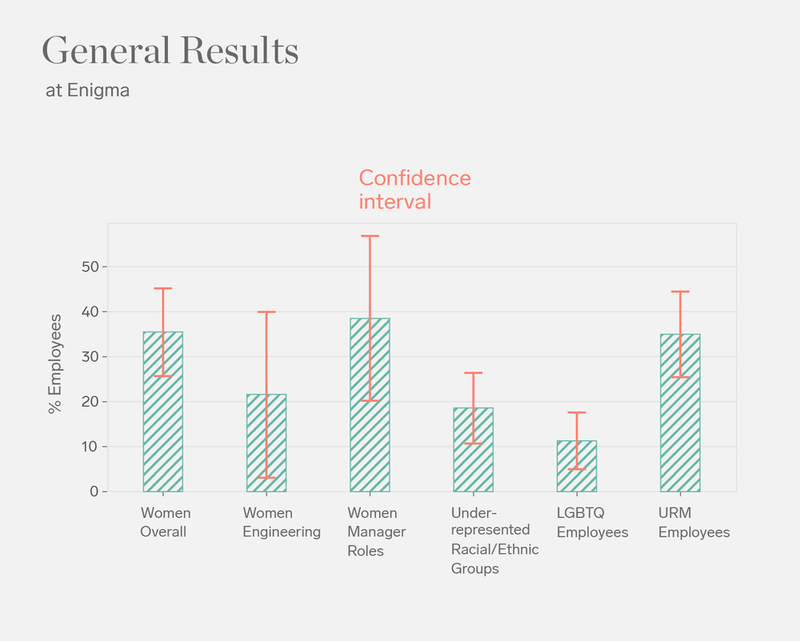 In this chart on the left, we wanted to tell the story that the percentage of women in CS degrees is lower than men, I applied solid color to women so that the viewer can focus on what matters. “Diversity and inclusion” in design matters too and color choices in charts can be always controversial. I thought that stereotyping people is against the idea of inclusive culture. Thus, In terms of using colors, I tried to be more thoughtful and purposefully avoided using biased/stereotypical colors to represent each group. ex) In Race & Ethnicity chart: no black color for African- American, no yellow color for Asian. No pink color for women, no blue color for men.